The French Astronomer Who Gave His Name to the Captain of the Enterprise? 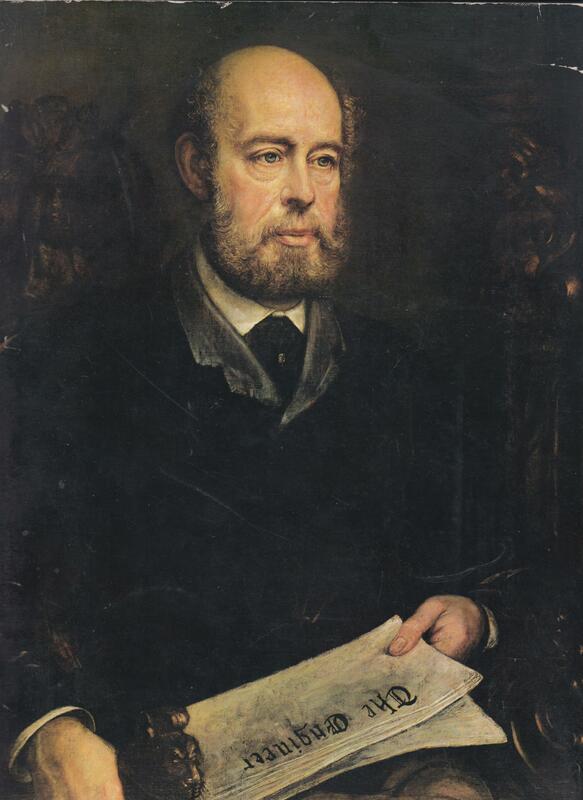 1982 is the anniversary of the death of Jean Picard, a celebrated French astronomer. He was born at La Fleche, in Anjou, on 21 July 1620; he studied for the priesthood, and was ordained, but his main interest was in astronomy. In 1645 he was appointed Professor at the College de France, and took a leading part in the establishment of the Paris Observatory. His most famous piece of research was undertaken in 1669-70, when he made a new and more accurate determination of the radius of the Earth. 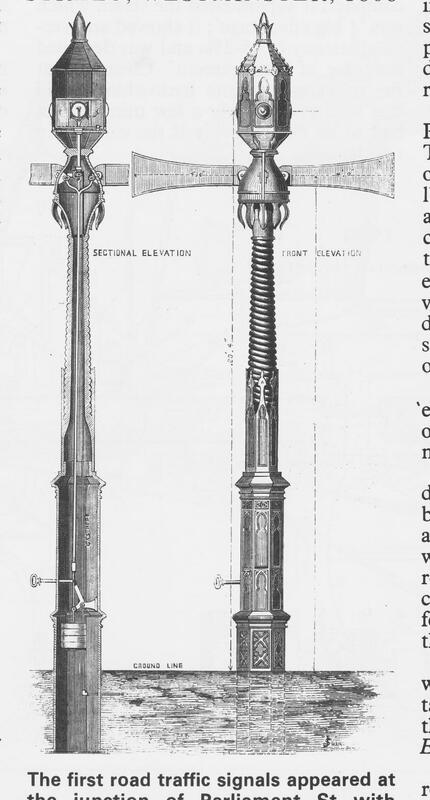 it has been said that it was this which allowed Isaac Newton to complete his work on the theory of gravitation, though in fact Newton’s earlier hesitation was due to the fact that one link in his chain of argument was incomplete. Jean Picard died as the result of an accident on 12 July 1682. (pp. 103-4). Reading that, I wonder if he was the inspiration for Patrick Stewart’s character in Star Trek: The Next Generation, Captain Jean-Luc Picard. I’ve also got a feeling that another Francophone space scientist may also have inspired the name and character. Professor Calculus in the Tintin books by Herge is based on a real French scientist, who ascended to the edge of space in a high altitude balloon in the last century. I can’t remember the scientist’s name, but I’ve got a feeling it was also Picard. Of course, it could all be coincidence. But considering the high standard of TV drama set by the series, it really wouldn’t surprise me if the creators and producers had done their historical research, and decided to create the Picard character partly as a tribute to these scientists. 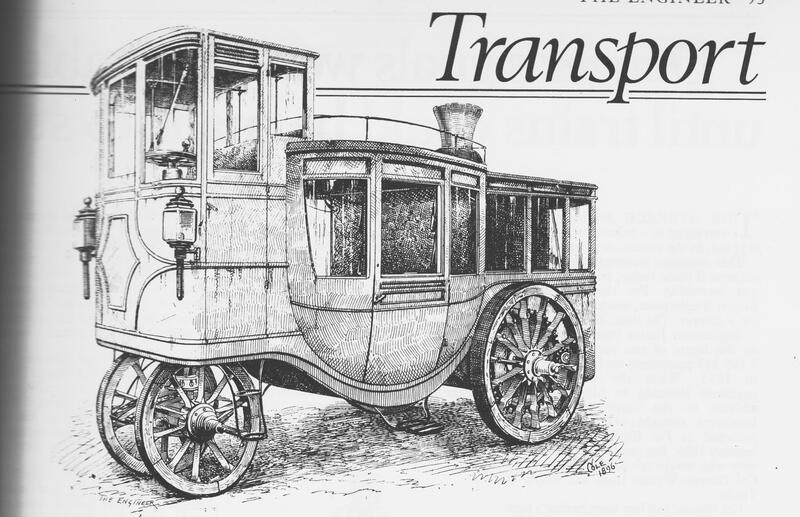 A few days ago I put up a post about 19th century attempts to produce steam-driven carriages and cars, which were very much like the kind of vehicles imagined by 20th century Cyberpunk writers. Cyberpunk is the type of science fiction, which takes as its starting point the fiction of H.G. 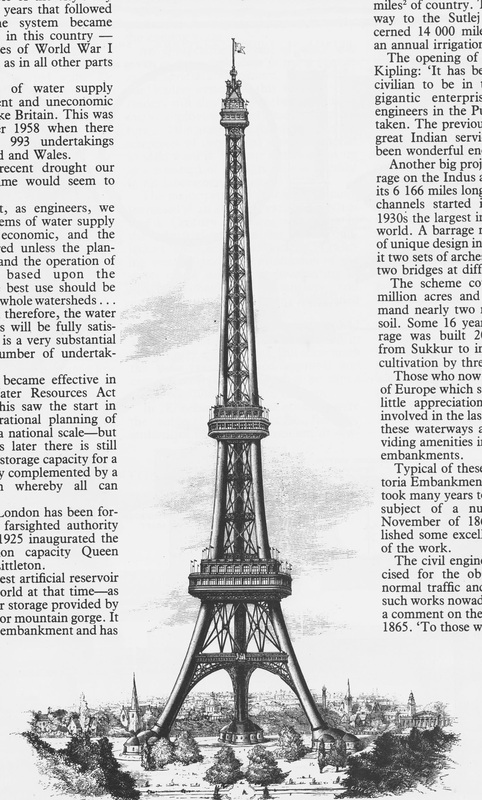 Wells and Jules Verne, and imagines what the world would have been like, if the Victorians had had spacecraft, flying machines, cars and so on. 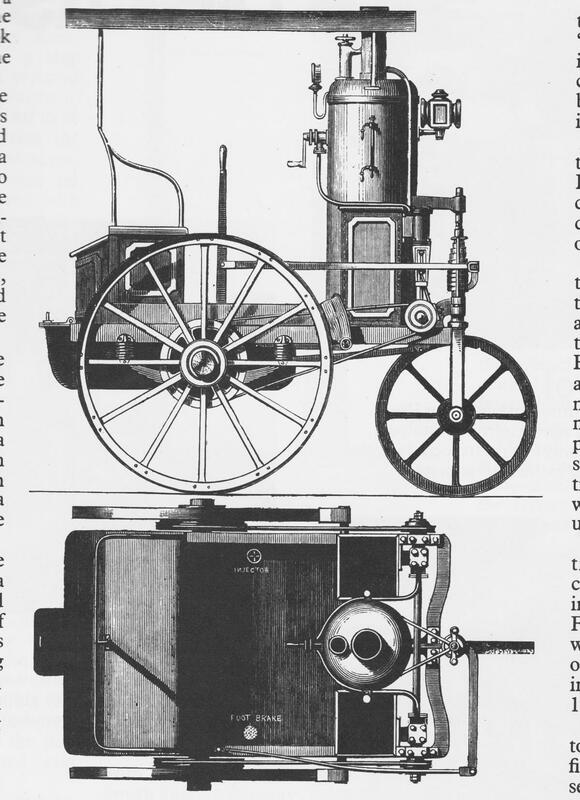 As well as inventing steam cars, carriages and buses, the century also saw a series of inventors put their minds towards flight. 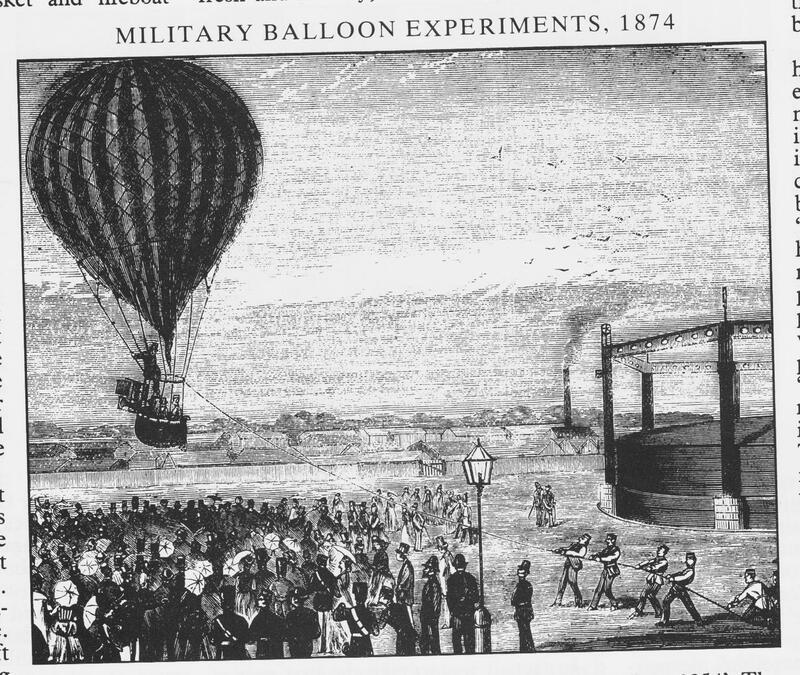 Balloons had been known about and used since they were invented in the 18th century. 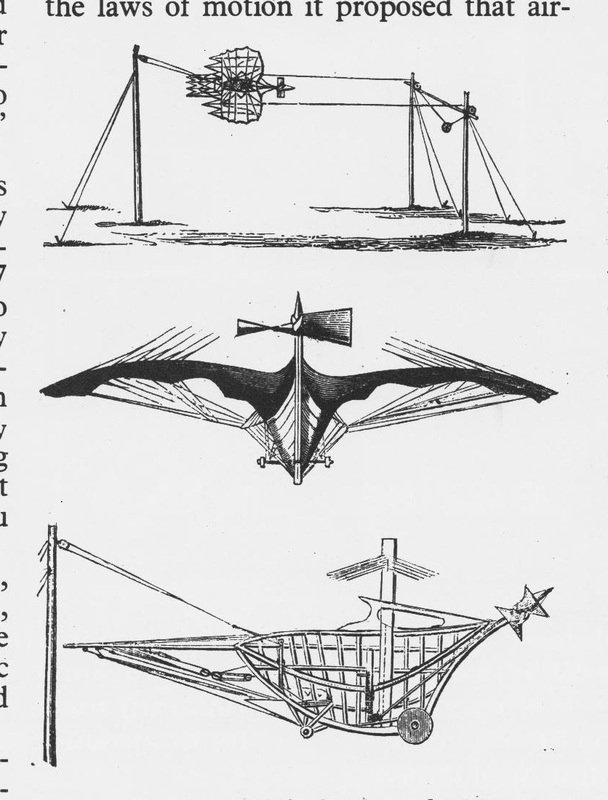 While some scientists and engineers, like Cugnot in France, attempted to create dirigible balloons – the ancestors of the Zeppelins and other airships of the 20th century, others tried to create heavier-than-air craft using wings, partly based on observing the way birds fly. These were the precursors and ancestors of the Wright brothers’ plane flown at Kittyhawk. the skeleton of some antediluvian monster bird or flying fish. 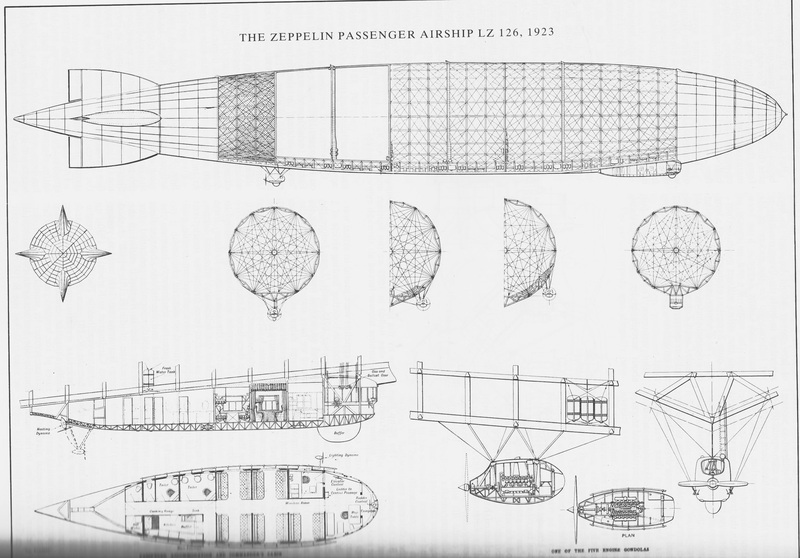 There were huge lateral wings, in texture like a bat’s, there was a pointed beak and a neck whose vertebrae were jointed pully blocks, but the body was too complex for comprehension, though it clearly contained an engine of some sort, with a tank which also did duty as a table. 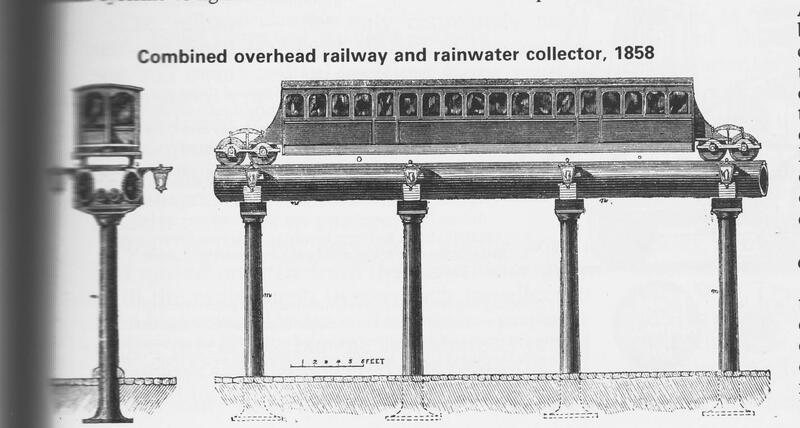 The story was accompanied by the following illustration of the ‘plane’. See Hilary and Dik Evans, Beyond the Gaslight: Science in Popular Fiction 1895-1905 (London: Frederick Muller Ltd 1976) 81-5 (pp. 81, 82). 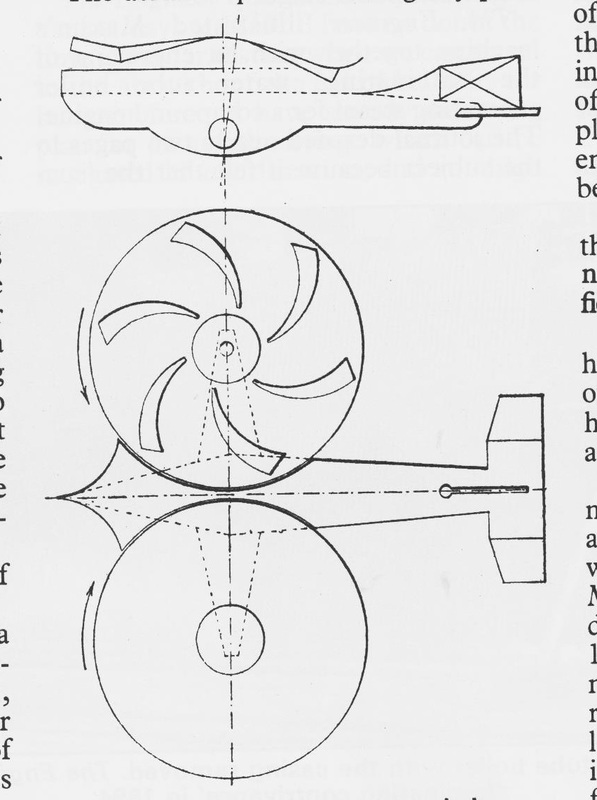 Other, more serious attempts to create a flying machine, can be seen in the book Images of Aviation: A Century of Flight, by John W.R. Taylor (Brimscombe Port: Tempus 1999). 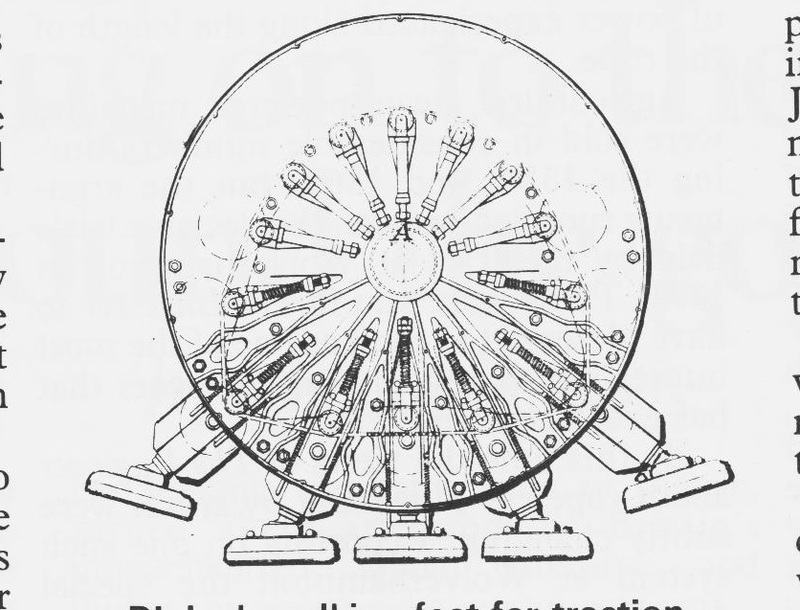 This includes Leonardo da Vinci’s attempts to produce the airplane, as well as various early balloons. 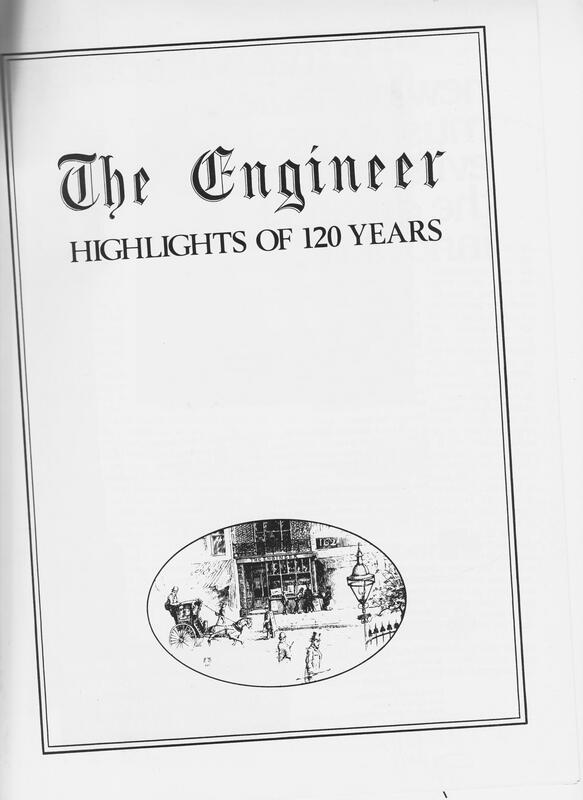 It also has a photo of a model of the glider invented by George Cayley in 1849, which successfully lifted a ten year old boy off the ground. 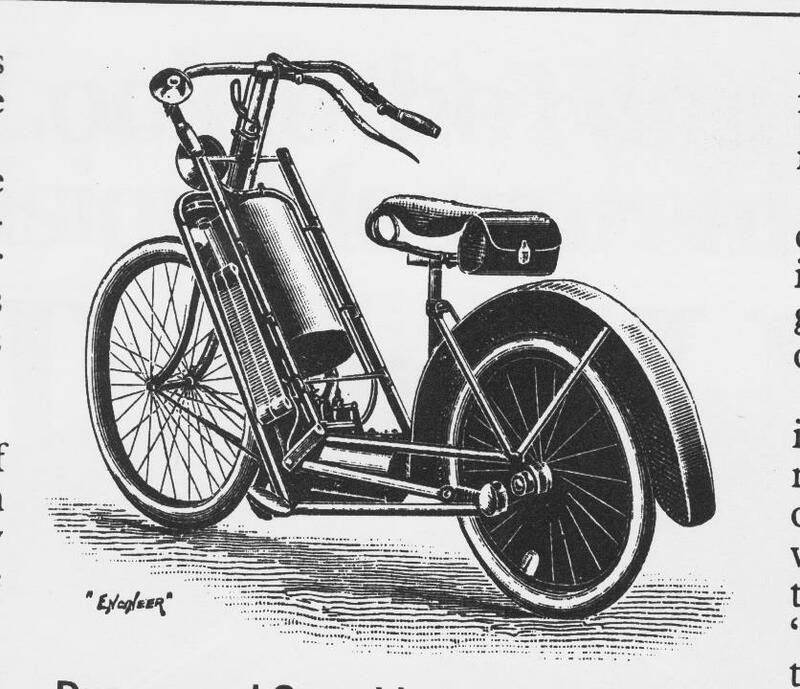 This was succeeded in 1853 by a vehicle, which successfully carried one of Cayley’s servants. The vehicle crash landed, however, and although the man mercifully survived, he and Cayley were so shocked by the crash that Cayley turned his back on flight. He is, however, now recognised as one of the founders of the airplane and the science of aeronautics. 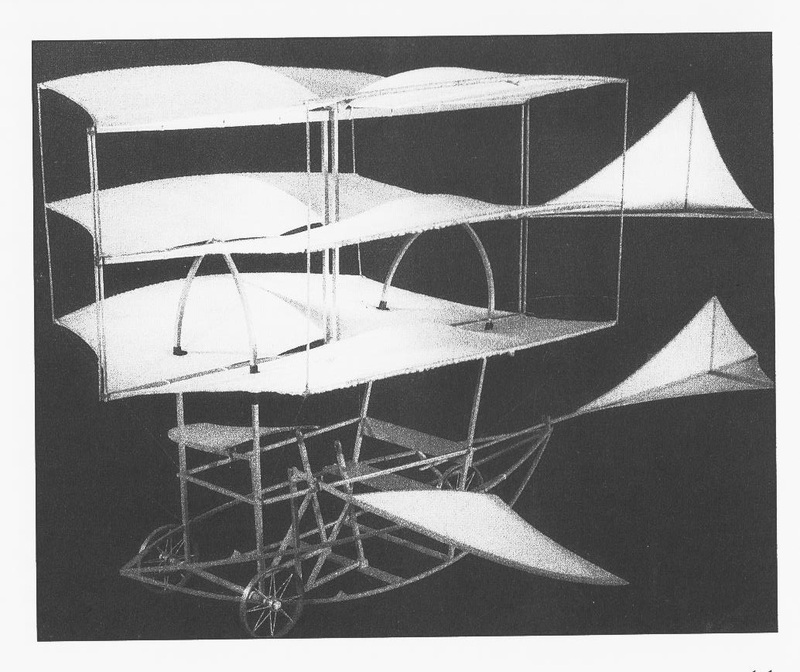 Another British inventor, William Henson, produced a design in 1842 for an ‘aerial steam carriage’. 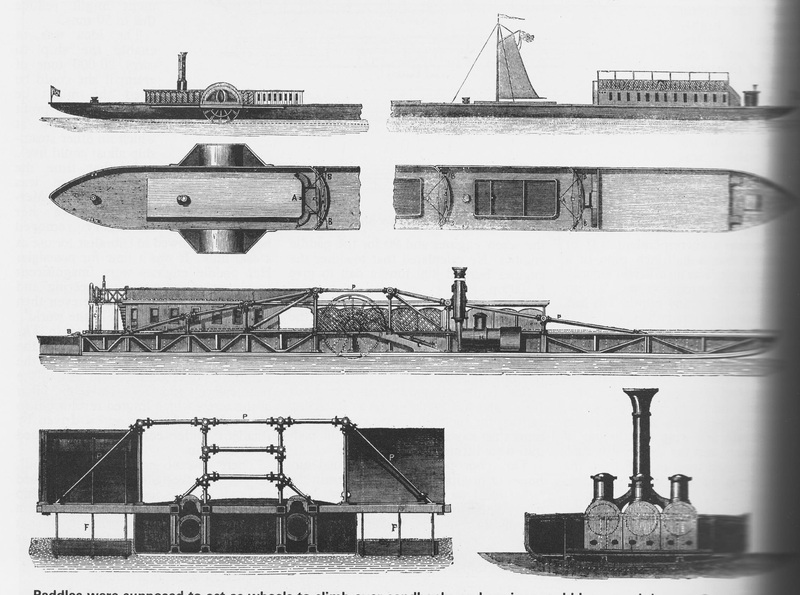 Henson built the machine, but it failed to fly when it was tested in 1847. 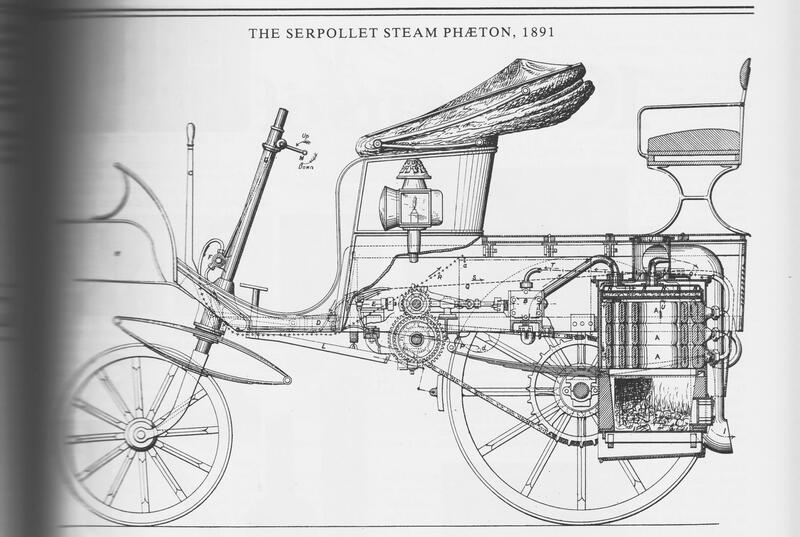 The steam carriage was launched from a ramp, but the small steam engine driving its two propellers lacked the power to keep it in the air. It is, nevertheless, a very good piece of engineering, as all the components are exactly where they should be in a working aircraft. 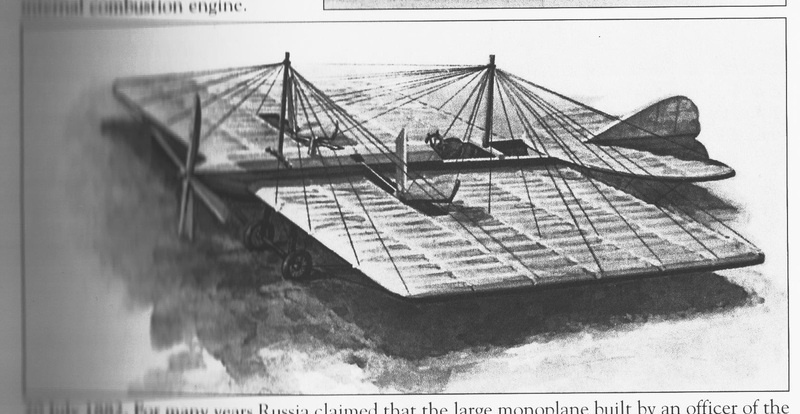 After experimenting with clockwork models in the 1850s, the French naval officer, Felix du Temple, successfully launched a monoplane carrying a sailor in 1874. 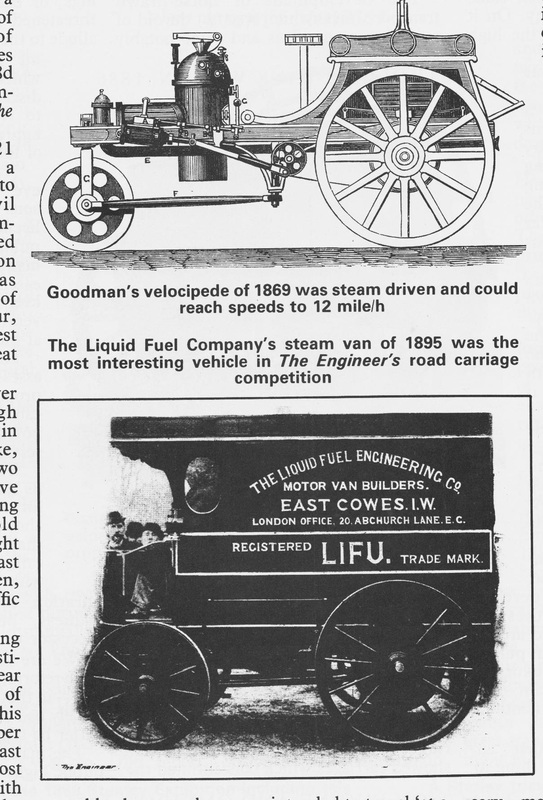 The device was powered by a steam engine, and took off from a ramp. It wasn’t very successful, staying aloft only for a few moments. 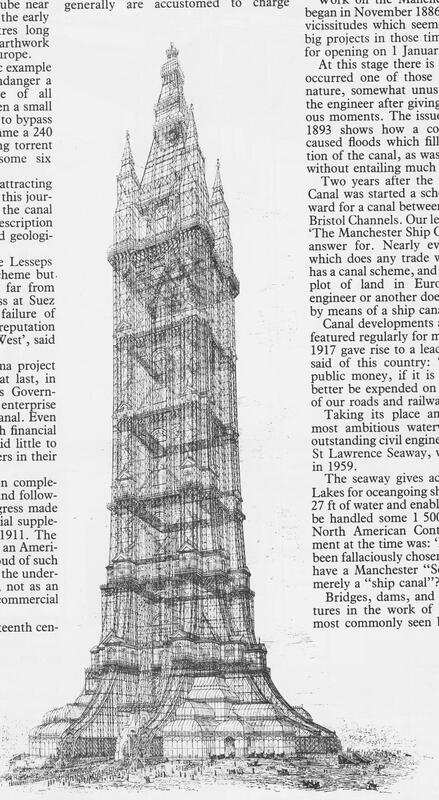 Still, this was another important milestone on the way to powered flight. Twenty years later, the pioneering Russian aviator, Golubov, managed a flight of between 65 to 100 feet in monoplane – a plane with only one set of wings – designed by Alexander Fedorovich Mozhaisky. like du Temple’s plane, this was also launched from a ramp. 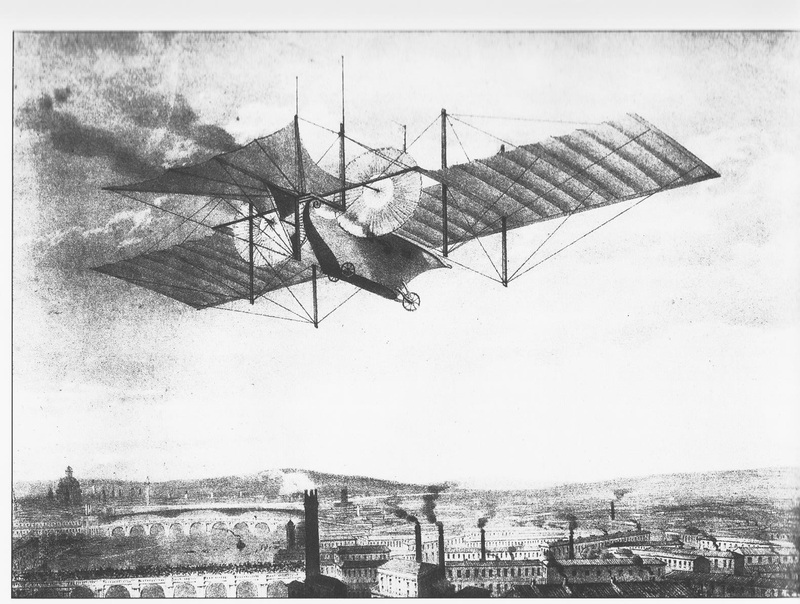 Another French inventor, Clement Ader, made what French historians still claim was the first recognised flight in a powered airplane in the Eole. 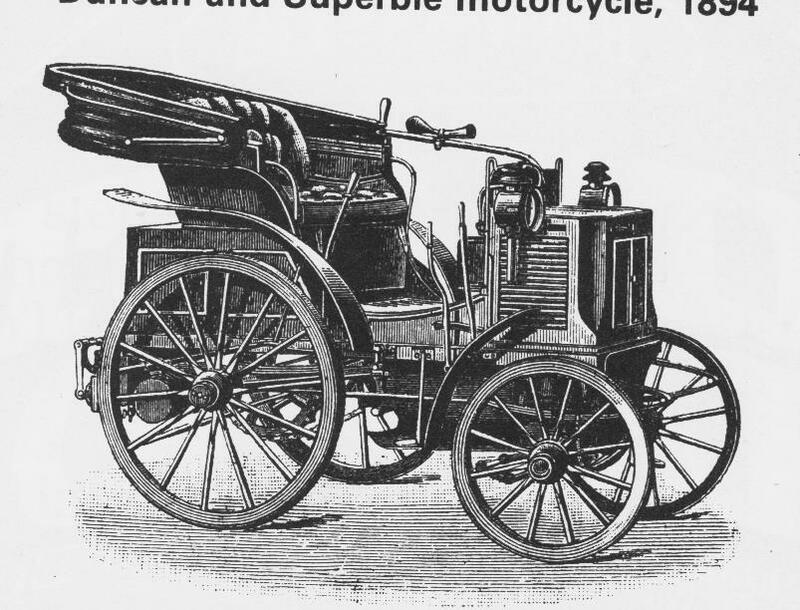 Powered by a 20 hp steam engine, this flew eight inches off the ground for 165 feet at Armainvilliers in October 1890. 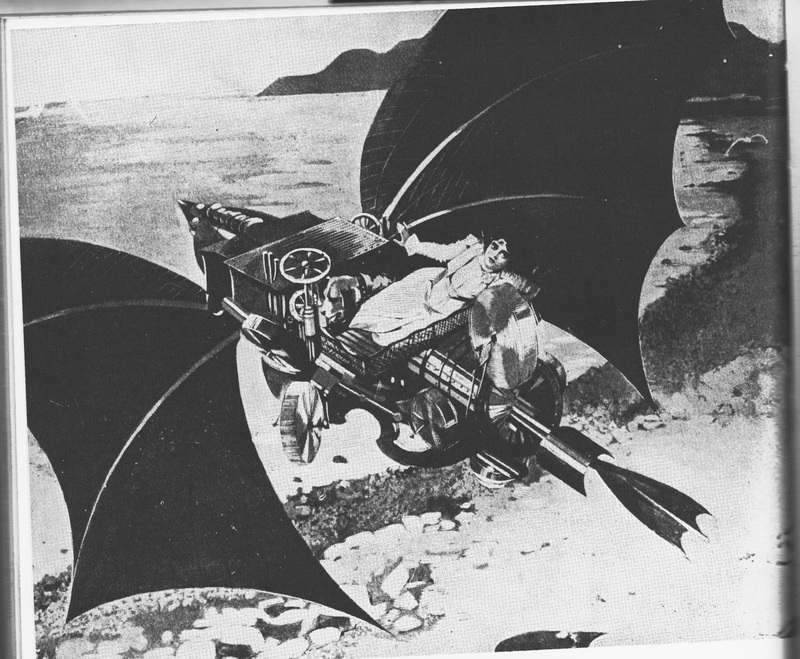 The flight was uncontrolled, however, and the design of the machine itself was basically impractical with its bizarre bat wings. 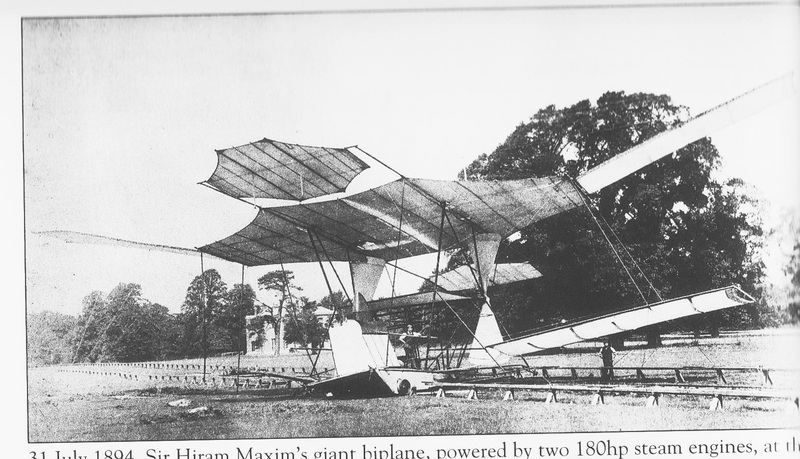 Sir Hiram Maxim also tried his hand at flight, creating an immense steam-powered biplane, which he attempted to fly at Baldwyn’s Park in Kent in 1894. 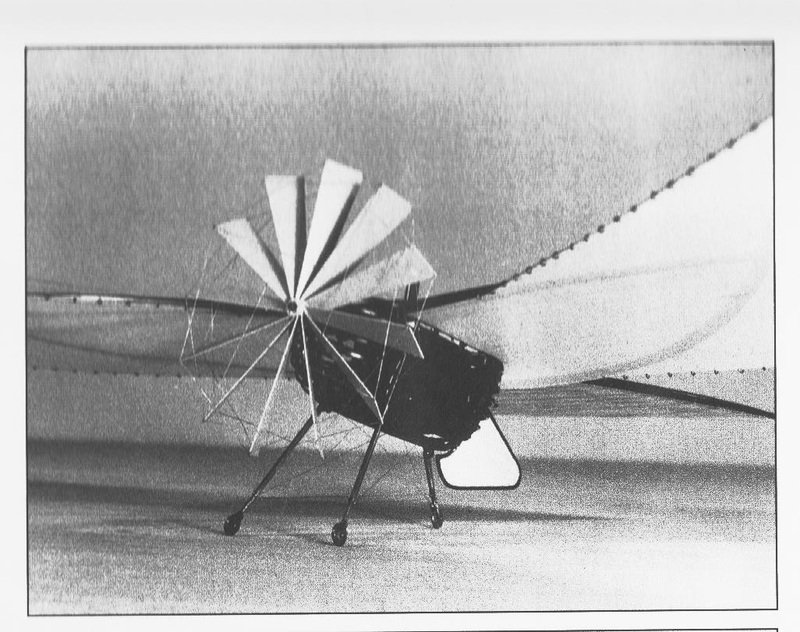 This briefly cleared its guide rails before it hit a guard rail and crashed, after which Maxim called an end to his experiments in flight. 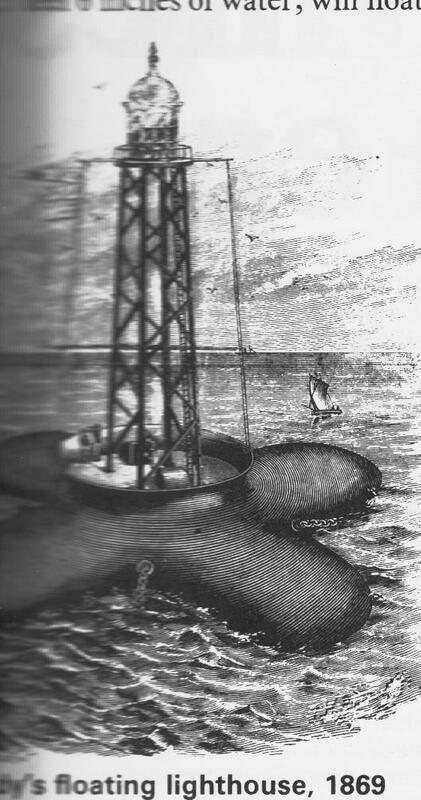 The end of the 19th century saw further developments in flight from Otto Lilienthal in Germany, who constructed a series of man-carrying gliders, as well as other aviators in the very first years of the 20th century, such as Richard Pearse in New Zealand and Gustave Whitehead of Bridgeport, Connecticut. Their machines are much more like those of the Wright brothers, which came after them. 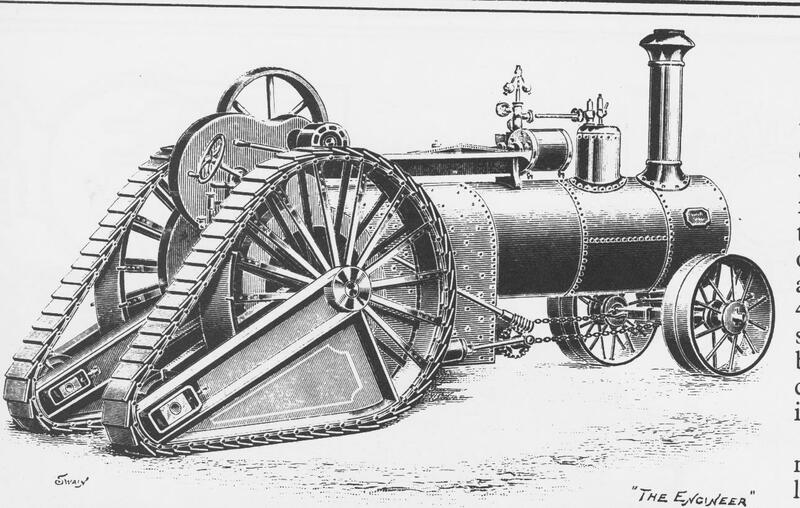 I find the Victorian machines interesting, however, as they show not only the immense imagination and invention of the engineers and scientists of the period, but they are so much like some of the machines of Cyberpunk SF that you really do wonder what they world would have been like, if they had been more successful and flight had been successfully invented fifty years or so before the Wright brothers.